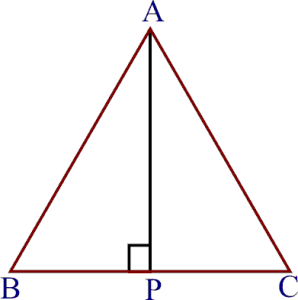 (iv) AP is the perpendicular bisector of BC. AP is perpendicular bisector of BC. 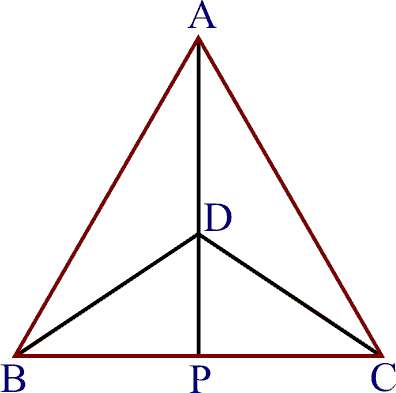 (i) AD bisects BC (ii) AD bisects . 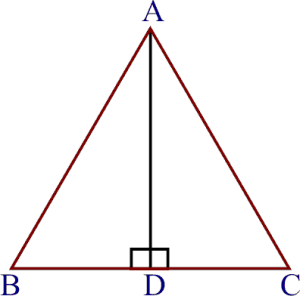 AD is the altitude drawn from vertex A of an isosceles ABC to the opposite base BC so that AB = AC, 90º. Hence, AD bisects BC, which proves (i) and AD bisects , which proves (ii). 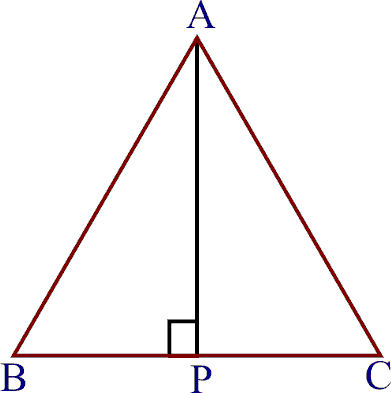 Two ABC and PQR in which AB = PQ, BC = QR and AM = PN. Since AM and PN are median of ABC and PQR respectively. 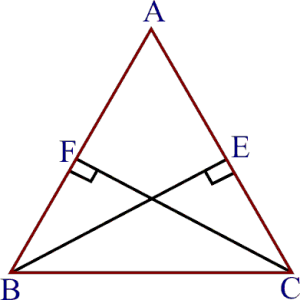 Q.4 BE and CF are two equal altitudes of a triangle ABC. 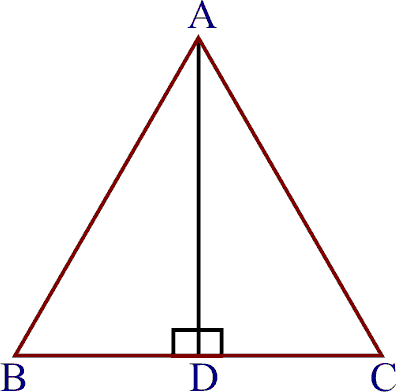 Using RHS congruence rule, prove that the triangle ABC is isosceles. Therefore is an isosceles triangle.